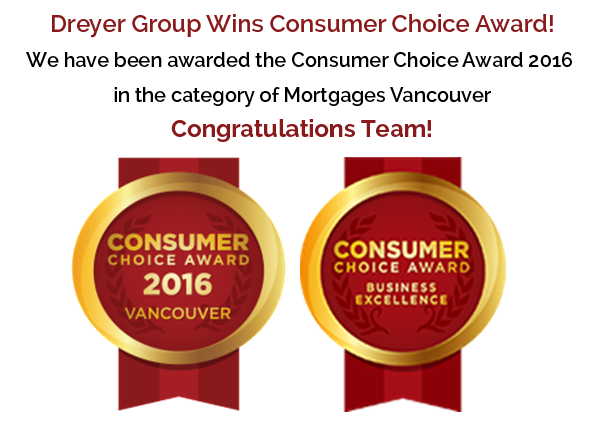 Dreyer Group Wins Consumer Choice Award! 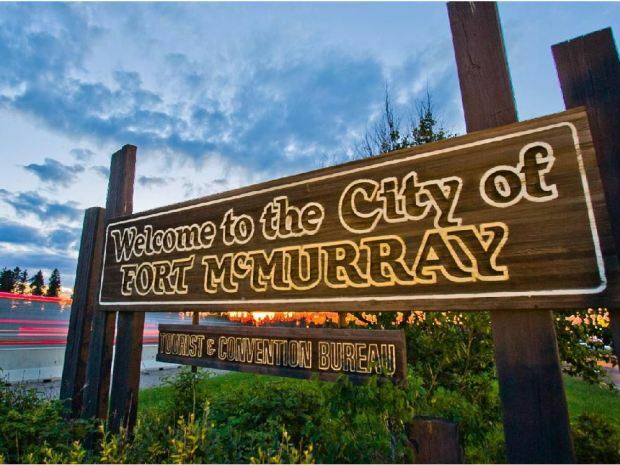 A Welcome to Fort McMurray sign stands on the side of Highway 63 on the south end of Fort McMurray, Alta. on June 19, 2013. 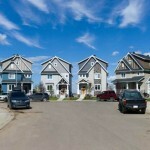 The slumping oilpatch in Alberta continues to take its toll on the Fort McMurray housing market, as the average MLS sale price of a home in that northern community plunged by more than $117,000 in October. Data obtained from the Canadian Real Estate Association indicates that the average sale price for the month of $468,199 was down 20 per cent from $585,438 in October 2014. Sales also plunged by 41 per cent to 85 from 144 a year ago. 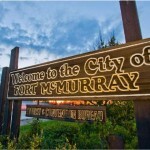 Year-to-date, MLS sales in Fort McMurray are down by 44.8 per cent. The oilpatch downturn is being felt in real estate markets across the province. In October, Lloydminster saw MLS sales dip by 54.3 per cent, falling to 43 transactions from 94 last year while the Alberta West area experienced a decline of 52.7 per cent, dropping to 70 from 148 a year ago. 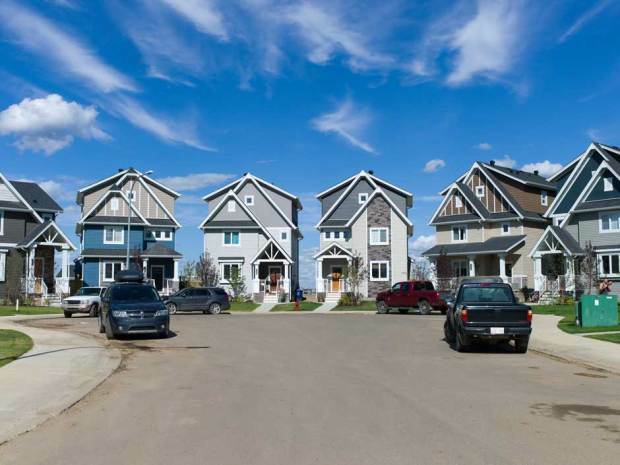 Year-to-date MLS sales in Alberta are down 21.1 per cent from last year. Besides Fort McMurray, the CREA statistics show the hardest hit areas in the province are Lloydminster (down 34.1 per cent); South Central Alberta (down 31.6 per cent) and Calgary, (down 28.9 per cent). MLS sales in the Calgary region were 1,810 for the month, down 36.4 per cent from a year ago. The rate of decline was the highest among Canada’s major housing markets, according to a report by the Canadian Real Estate Association. Across the country, however, MLS sales were up 0.1 per cent to 41,653. CREA said national activity stood near the peak recorded earlier this year and reached the second highest monthly level in almost six years. Doug Porter, chief economist with BMO Capital Markets, said there are many — mostly oil-driven — cities that have softened markedly. Not long into their first real jobs, Adam and Liz want to do everything at once: Buy a house, get married, travel, pay off his student loan, have children and save for retirement. Where to start? He is 28, she is 24. Together they bring in $139,000 a year before tax. Both have work pensions, his a defined-benefit government plan, hers a private-sector defined-contribution plan. But we’re getting ahead of ourselves. Weighed against their goals and aspirations, their savings look modest – $49,500 between them. The house they want to buy in the next two or three years will cost in the range of $500,000. The wedding will cost another $15,000. Fortunately, they have kept a tight rein on their spending so they have a surplus each month. Should they use it to pay off their student loan, save for the down payment on their first home or save for retirement? they ask in an e-mail. They also wonder how to invest their savings in the meantime – in a tax-free savings account, registered retirement savings plan, guaranteed investment certificate or bank savings account. “Should we put all of our savings toward the house or put some to retirement?” Adam asks. We asked Ross McShane, director of financial planning at McLarty & Co. Wealth Management Corp. in Ottawa, to look at the couple’s situation. Adam and Liz are on solid footing, Mr. McShane says. They have good incomes and have been diligent in controlling expenses in favour of paying down their student loans and accumulating some savings. 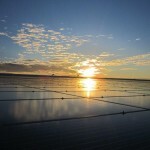 They have a surplus of about $25,000 a year, which will accumulate to $75,000 over the next three years. That, plus their existing savings, would give them close to $125,000, enough to cover a $100,000 down payment and a $15,000 wedding. Because Liz and Adam will need the money before long, the planner suggests they leave existing TFSA monies in a daily-interest savings account. In the meantime, they should take some of that cash they have in the bank to pay down the student loan. 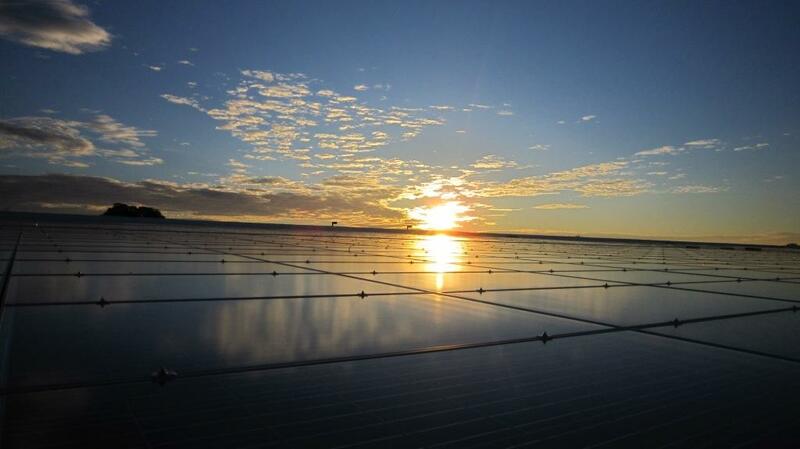 “The loan is costing 5.2 per cent, and even though they receive a tax credit, the after-tax cost well exceeds the return they could achieve (at least on a guaranteed basis) if the funds were invested,” Mr. McShane says. With a lump-sum payment of $15,000 to $20,000 and regular monthly payments of $700, the loan would be paid off in less than three years. Liz and Adam could put less than $100,000 or 20 per cent down on their house, but they would have to pay mortgage insurance. With 5 per cent down, for example, they would pay 3.6 per cent of the purchase price for insurance, an amount that would be added to the principal, the planner notes. “Keep in mind there will be closing costs and maybe some additional costs for blinds and appliances and so on,” Mr. McShane says. “Given that many expect housing prices to retrench somewhat, I am inclined to play it conservatively by waiting until they have 20 per cent saved up,” he adds. The planner does not suggest the couple add to their RRSPs at this stage unless Adam’s income (now $76,000 a year) surpasses $82,000, in which case a contribution would be prudent in order to put him back below that $82,000 mark (bottom of the 35-per-cent marginal tax bracket), he says. Otherwise, they’d be better off carrying forward their RRSP contribution room to when their incomes are significantly higher and they enjoy a larger tax savings per dollar contributed. They might consider buying a less expensive house. “They will have mortgage payments, repairs and maintenance, property taxes and utilities, so a house can eat up a chunk of their cash flow.” A $500,000 home with a $400,000 mortgage amortized over 25 years at 3 per cent a year would cost $1,895 a month, or $22,740 a year. Taxes, maintenance and utilities could add another $800 to $1,000 a month “and before you know it, your cost to carry the house is over $32,000 a year,” the planner says. As it is, they are paying $17,220 a year in rent, so while they would be building equity if they bought, their cash outflow would rise by $15,000 and cut into their surplus. “Perhaps a less expensive home to start should be considered to give them some extra breathing room – especially important should they start to raise a family,” Mr. McShane says. A $400,000 house with a 20-per-cent down payment of $80,000 would lower the mortgage to $320,000, “which translates into a monthly payment of $1,517 and likely has lower property taxes.” To be safe, the couple should also budget for rising interest rates in future, he adds. Once they buy the house, they will have to decide whether to pay down their mortgage first or contribute some of their surplus to the RRSPs and TFSAs, the planner says. The people: Adam, 28, and Liz, 24. The problem: How to set priorities for the use of their earnings given their competing goals. The plan: Pay off the student loan, save up a 20 per cent down payment for a house and don’t be too concerned about saving for retirement yet. The payoff: A clear financial road map for the next few years, to be revisited in future. Chain saws and staple guns echo across a US$40-million residential complex under construction in Williston, North Dakota, a few miles from almost-empty camps once filled with oil workers. Handout/Conoco Philips They were a diverse group, about two-dozen of them, a mix of retired oil and gas executives, climate change advocates, former politicians and academics. Some had been in Alberta forever. Others less than a generation. And they had gathered in a living room in northwest Calgary in mid-September because they all felt it: The growing disquiet over the future of the province’s energy industry, and particularly its workhorse, the oilsands. Continue reading. 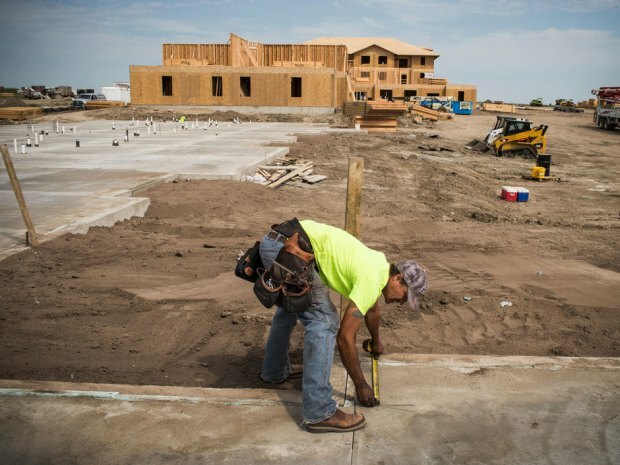 After struggling to house thousands of migrant roughnecks during the boom, the state faces a new real-estate crisis: The frenzied drilling that made it No. 1 in personal-income growth and job creation for five consecutive years hasn’t lasted long enough to support the oil-fuelled building explosion. Civic leaders and developers say many new units were already in the pipeline, and they anticipate another influx of workers when oil prices rise again. But for now, hundreds of dwellings approved during the heady days are rising, skeletons of wood and cement surrounded by rolling grasslands, with too few residents who can afford them. The surge began in 2006, when rising oil prices made widespread hydraulic fracturing economically feasible. The process forces water, sand and chemicals down a well to crack rock and release the crude. Predictions were that fracking would sustain production and a robust tax base for decades. Labourers descended on the state, many landing in temporary settlements of recreational vehicles, shacks and even chicken coops. Energy companies put up some workers in so-called man camps. In 2011, Williams County commissioners approved 12,000 beds, says Michael Sizemore, the county building official. The camps were supposed to be an interim solution until subdivision and apartment complexes could be built. Civic leaders across the Bakken charged into overdrive, processing hundreds of permits and borrowing tens of millions of dollars to pay for new water and sewer systems. Williston has issued US$226 million of debt since January 2011; about US$144 million is outstanding. Watford City issued US$2.34 million of debt; about US$2.1 million is outstanding. 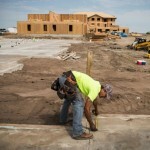 Construction companies and investors went along for the ride. The New York City-based company plans to complete 35 units in Watford City this winter and break ground on another residential project in March, he says. The Bakken has boomed before. The first strike came in 1953, when thousands of transitory workers poured in. But a global crude-oil glut ended production abruptly in 1984 and the workers fled, leaving many municipalities deeply in debt. Fracking’s success has created another glut, and crude prices have fallen more than 50 per cent in the past year. Now North Dakota’s white-hot economy is slowing. More than 4,000 workers lost their jobs in the first quarter, according to the state’s Labor Market Information Center. Taxable sales in counties at the centre of the nation’s second-largest oil region dropped as much as 10 per cent in the first quarter from a year earlier, data from the Office of the State Tax Commissioner show. As the migrant workers leave, their castoffs pile up in scrap yards such as TJ’s Autobody & Salvage outside Alexander, about 25 miles (40 kilometres) south of Williston. More than 400 discarded vehicles crowd its lot, including souped-up pickup trucks and an RV with rotting potatoes and a dead mouse in the sink. Cities and counties are rushing to change permitting policies and toughen zoning laws to outlaw or restrict temporary colonies. Commissioners in Williston — the nation’s fastest- growing micropolitan area between July 2010 and July 2013 — voted Sept. 22 to consider requiring facilities that operate a total of 3,517 temporary beds to close by July. The annual per-bed fees Williams County requires camp operators to pay will double to $800 in May. The goal is to force the remaining oil workers into residences that were on the drawing board when a barrel of oil was selling for twice as much as it is today. “A lot of our investors would not have gone into this had they not had the understanding that, as permanent units went in, man camps would go away.” said Terry Metzler, North Dakota operations manager for Granite Peak Development LLC, based in Casper, Wyoming. Its many projects in Williston include a new Menards home-improvement store with more than 200,000 square feet and two US$40-million apartment complexes nearby. Housing experts say this goal may be illusory because oil roughnecks typically return to their home state when a boom is over. “People who think they can convince these workers to live in apartments or suburban households are not understanding the nature of this economy,” said Bill Caraher, an associate professor at the University of North Dakota in Grand Forks who has studied housing in the oilpatch. Andrew Burton/Getty Images Andrew Burton/Getty ImagesOil roughnecks typically return to their home state when a boom is over. With the region’s drilling-rig count at a six-year low of 74 and roughnecks coping with cuts in overtime and per-diem pay, the vacancy rates in Williams County man camps are as high as 70 per cent. Meanwhile the average occupancy rate of new units in Williston was 65 per cent in August, even as 1,347 apartments are under construction or have been approved there. Officials in Watford City about 45 miles away have issued 1,824 permits for apartments, duplexes and homes in the past 18 months after only three houses were built between 1980 and 2000. They are in limbo, worried about filling the units. That’s true for Daniel Krohn, who pays US$650 a month for a space in the Rakken Arrow RV Park. A plywood lean-to that blocks the north wind is cobbled onto his mobile home, the only one with a mailbox in the 86-space lot, which is half empty. Krohn, who installed piping on gravel pads where oil and gas is processed, came to Watford City in 2012 from Wisconsin with his wife, Angela; they had a daughter after the move. Now he’s unemployed and considering moving back home to a house with a US$450 monthly mortgage. — With assistance from Brian Chappatta in New York. This one’s for the housing true believers out there. You’re the buyers who keep pushing house prices higher in cities such as Vancouver, Toronto and Hamilton. Incomes are edging higher in these cities, prices are surging. If you’re primed to buy anyway, then listen up. Stop trying to save a 20-per-cent down payment and get into the market now. This insurance got a little more expensive in some cases this summer, so it’s time for a fresh look at the case for avoiding the cost of buying it. Background for housing rookies: If you have a down payment of less than 20 per cent, you have to pay a hefty premium to insure your lender in case you default on your payments. The amount is usually added to your mortgage principal, which means it’s out of sight and out of mind. But it still costs you. With a down payment of less than 10 per cent (5 per cent is the minimum), the cost of mortgage insurance rose in June to 3.6 per cent of the purchase price from 3.15 per cent. 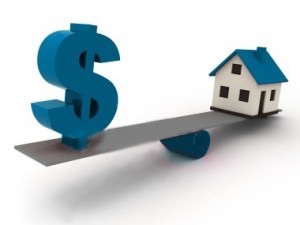 Larger down payments short of 20 per cent were unaffected and range from 2.4 per cent down to 1.8 per cent. You’ll pay provincial sales tax on those amounts in Manitoba, Ontario and Quebec. More importantly, you’ll incur extra interest charges by adding these amounts to your mortgage balance. Let’s use the average resale house price in Canada to illustrate how much mortgage insurance adds to your costs when buying a first home. The average price in August was $433,367 – a calculator from Canada Mortgage and Housing Corp., a supplier of mortgage insurance, shows that a 10-per-cent down payment would trigger a mortgage insurance premium of $9,361. With that amount added to the mortgage, monthly payments on a five-year fixed mortgage at 2.59 per cent would be $1,807 per month. With a 20-per-cent down payment, monthly costs on this mortgage fall to $1,569. Total interest over the five-year term of the mortgage falls to $41,390 from $47,681, a difference of $6,291. But would it really be worth postponing your purchase by three years to put 20 per cent down? With the market rising at 5 per cent annually (less than recent increases in Vancouver, Toronto and Hamilton), the chart that goes with this column shows you’d actually end up paying more per month. Mortgage rates also have to figure into your thinking on whether to buy now or wait and save more. If we assume 4 per cent average annual price increases over three years and a rise in mortgage rates of one percentage point, you’d have to pay substantially more than if you bought now and paid for mortgage insurance (see chart). If you live in a city with a slow real estate market, it pays to wait and save more. If you waited three years to double your down payment to 20 per cent on the average-priced house and prices rose 2 per cent annually, you’d come out ahead by more than $140 per month. The CAAMP study found that 18 per cent of first-time buyers received gifts or loans from family. A thought for parents who want to help their kids get into the market: Try topping up their down payment to reach the 20 per cent threshold. Warning: Parents should avoid this type of financial help if they have to go into debt to provide it, or if it greases the way for their kids to buy a house they can’t properly afford to carry. Down payments are one of the least strategized parts of home buying, and yet they can have a big impact on your total long-term cost of owning a house. The conventional wisdom about 20-per-cent down payments is right on the money, but not if you’re set on buying in a hot market. Either jump in now or resolve to wait and save indefinitely for sanity to return. Stephen Harper wants to add another 700,000 homeowners in Canada. Is that what we really need? Prime Minister Stephen Harper and the Conservatives say they have primed the housing pump enough that Canada is now set for all-time home ownership record. Read more The party boldly predicted the country will add another 700,000 homeowners and increase the percentage of Canadian households that own their property from 70 per cent to 72.5 per cent. But the question some critics are quick to ask is whether we actually want so many people owning their homes, with some pointing to the housing crash in the United States that happened almost a decade ago as home ownership rates there soared to all-time highs just below 70 per cent before dropping to about 63 per cent earlier this year. Affordability concerns have dogged those markets and the Tories once again promised Tuesday to investigate whether foreign ownership has been fuelling the housing markets in Toronto and Vancouver where the average detached homes sell for about $1 million and $1.4 million respectively. Related If Stephen Harper has his way, 72.5 per cent of Canadians will be homeowners by 2020 ‘Playing with fire’: How the Tories’ renovation tax credit promise may affect Canada’s hot housing markets Harper promises to introduce permanent home renovation tax credit if he is re-elected But the Conservatives say the policies they are proposing in the election are actually helping with affordability. Changes being proposed are a permanent renovation tax credit and increasing the amount Canadians can withdraw without penalty from their registered retirement savings plans from $25,000 to $35,000. Annual contributions limits to tax-free savings accounts were already bumped from $5,500 to $10,000 and some of that money is expected to go into housing. Harper calls the Tory measures a “plan for affordable, responsible home ownership in Canada” but the latest announcement does not offer any specific new program, just a new target. Not surprisingly, organized real estate loves everything the Conservatives have done to boost housing and believes the government can reach the goals it has set. “We need to have strong policies in place to meet that target,” said Kevin Lee, chief executive of the Canadian Home Builders’ Association, about the goal of reaching a 72.5 per cent home ownership rate. THE CANADIAN PRESS/Nathan Denette THE CANADIAN PRESS/Nathan DenetteConservative Leader Stephen Harper, centre, and candidate Julian Fantino, right, look over a new home construction site while making a campaign stop in Kleinburg Ont., on Tuesday, September 29, 2015. From the CHBA point of the view, the concern should be on jobs. The Ottawa-based group estimates real estate directly and indirectly supports 90,000 jobs and contributes $125 billion annually to economic activity. Gregory Klump, chief economist with the Canadian Real Estate Association which represents about 100 boards across the country, says the Tory targets are achievable. He adds low interest rates and income growth are probably just as big a factor as any new policy measures being proposed. In terms of whether the proposed Tory changes could be inflationary, Klump said there really isn’t any “evidence to show current policies” have impacted Toronto and Vancouver. “There is just a shortage of single family homes in those markets,” he said. The goal the Conservatives hope to attain almost seems to fly in the face of some of the measures Ottawa has instituted over the last four years to slow the market, the most prominent being a reduction in maximum amortization lengths from 40 to 25 years. Tal says there is nothing wrong with seeking a higher home ownership rate but it can’t come with increased risk to the market. “We’ve been through this game in the U.S.,” he says. WASHINGTON — An American hedge fund billionaire bought the home of a former boss who passed him over for promotion — then tore it down and built a mansion twice as big on the exact spot. 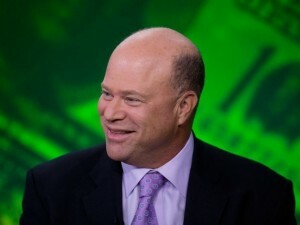 David Tepper paid the ex-wife of Jon Corzine, the former CEO of Goldman Sachs, US$43.5 million for the summer home in Sagaponack, Long Island, in 2010 and flattened it. Ordering the building of a new property, he seemed intent on creating something bigger and better. Five years later, the full extent of the 58-year-old hedge fund manager’s “revenge” seems complete. The new 11,268 sq ft mansion is almost exactly twice the size of his one-time boss’s property. The estate includes a giant outdoor swimming pool and pool house, three-car garage and tennis court. The completion of the beachfront house, in an area of the Hamptons that has long been a playground for the wealthy, may bring closure to a feud that began more than two decades ago. Related Park the yacht — this ‘private floating habitat’ just upped the ante on billionaire toys Whoever buys this $12.25-million ‘Manor House’ in Calgary won’t be worried about the oil crash After reportedly playing a critical role in protecting Goldman Sachs from a financial crash in the late Eighties, Tepper assumed that he would be made a partner. When he was not chosen, he blamed Corzine, the head of his division, with whom he was said to have had a fractious relationship. Tepper left to start hedge fund Appaloosa in 1993 and became a billionaire in 10 years. He is one of the highest-paid fund managers in the U.S., earning $3.5 billion in 2013, according to Forbes magazine. One major bank is working on a strategy that will see mobile advisors provide more than just mortgage advice – should brokers be worried that their competitive advantage is disappearing? “We’ve been focusing on processes and simplifying,” David Williamson, CIBC senior executive vice president, said during the bank’s recent quarterly profit call. Also CIBC is investing in “mobile mortgage advisers, which were changing to mobile advisers generally, so (they will) not just focus on mortgages.” CIBC’s shift to having its mortgage specialists become more generalist could see commissions, and so earnings, broadened and supported by other revenue streams. Ostensibly that could create greater income security for those brokers prepared to head back to the bank. But industry players may view this initiative as a play to earn a larger share of clients’ wallet, rather than an increased focus on holistic financial advice. 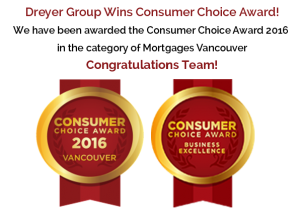 “I think it’s the bank acknowledging (the mortgage specialists) aren’t doing a good enough job handing the client off to the branch,” Steve D’Souza, a broker with Client First Mortgage Solutions, told MortgageBrokerNews.ca. “It’s a way for the bank to push more lines of business and sell more products.” And while the model may up the utility of mortgage specialists, not all brokers see it as an incentive to make the move to the banks anytime soon. “Newer brokers may be enticed to make the move but I don’t see high producing brokers deciding to go to the banks,” D’Souza said.